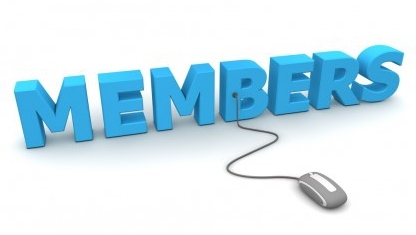 Welcome to the new membership section of our website. You will find a range of resources including the Member Directory, CEU Information, Oncology Toolkit and more. 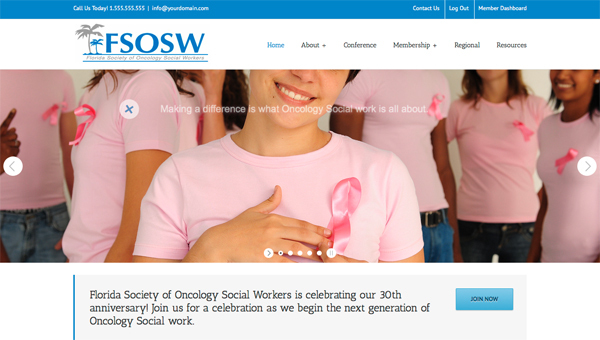 You can keep up to date with all FSOSW news, announcements and updates. If you have questions or need assistance Contact Us through our website. The Association of Community Cancer Centers Cancer Program Guidelines have been established to assist cancer programs that want to develop and/or maintain a comprehensive interdisciplinary program that meets the needs of cancer patients and their families. These guidelines were developed to reflect the optimal components for a cancer program. The guidelines are not intended to act as an accrediting or credentialing mechanism and are not a list of standards, such as those published by the American College of Surgeons Commission on Cancer. The guidelines should not be a surrogate for independent medical judgment; they serve only as the term implies: as guidelines to help programs meet the optimal attributes. Goals of work: Patients with brain cancer are at a risk of experiencing elevated levels of distress due to the severe functional, neurocognitive, and neuropsychological sequelae of the disease. Using the National Comprehensive Cancer Network's Distress Thermometer, we evaluated the extent and sources of distress within a population of patients with brain cancer. Patients and methods: Participants were asked to complete the Distress Thermometer, a single-item rapid screening tool for distress. The Distress Thermometer is a visual analog scale on which participants rate their level of distress from ‘0’ (none) to ‘10’ (extreme). Participants were also asked to designate which items from a 34-item list constitute sources of distress. Background: Cancer can be a distressing experience for cancer patients and carers, impacting on psychological, social, physical and spiritual functioning. However, health professionals often fail to detect distress in their patients due to time constraints and a lack of experience. Also, with the focus on the patient, carer needs are often overlooked. This study investigated the acceptability of brief distress screening with the Distress Thermometer (DT) and Problem List (PL) to operators of a community-based telephone helpline, as well as to cancer patients and carers calling the service. Methods: Operators (n = 18) monitored usage of the DT and PL with callers (cancer patients/carers, >18 years, and English-speaking) from September-December 2006 (n = 666). The DT is a single item, 11-point scale to rate level of distress. The associated PL identifies the cause of distress. Results: The DT and PL were used on 90% of eligible callers, most providing valid responses. Benefits included having an objective, structured and consistent means for distress screening and triage to supportive care services. Reported challenges included apparent inappropriateness of the tools due to the nature of the call or level of caller distress, the DT numeric scale, and the level of operator training. Conclusions: We observed positive outcomes to using the DT and PL, although operators reported some challenges. Overcoming these challenges may improve distress screening particularly by less experienced clinicians, and further development of the PL items and DT scale may assist with administration. The DT and PL allow clinicians to direct/prioritise interventions or referrals, although ongoing training and support is critical in distress screening. Up to half of all adults with cancer experience clinically significant psychological distress and much of this distress goes unrecognized and untreated. As part of an effort to improve the care of cancer patients, the National Comprehensive Cancer Network (NCCN) has developed clinical practice guidelines for distress management that include recommendations about the evaluation and treatment of distress. These authors conducted a study to evaluate the implementation of these distress management guidelines by NCCN member institutions. The NCCN member institutions that treat adults were asked in April and May 2005 to describe their distress management practices, and 15 (83%) provided responses. Of these, 8 (53%) conduct routine distress screening for at least some patient groups, with 4 additional institutions (27%) pilot-testing screening strategies. However, only 20% of surveyed member institutions screened all patients as the guidelines recommend. In addition, whether institutions that conduct routine distress screening do so through standardized assessment methods is unclear, because 37.5% of institutions that conduct screening rely only on interviews to identify distressed patients. Findings suggest that most institutions consider screening patients’ mental health concerns important and worthwhile, but that greater implementation of guideline recommendations is needed. Most nurses agree that incorporating evidence into practice is necessary to provide quality care, but barriers such as time, resources, and knowledge often interfere with the actual implementation of practice change. 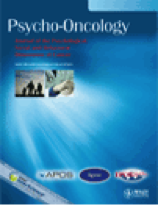 Published practice guidelines are one source to direct practice; this article focuses on the use of the National Comprehensive Cancer Network’s Clinical Practice Guidelines for Oncology: Distress Management, which articulate standards and demonstrate assessment for psychosocial distress. Planning for the implementation of the guidelines in a feasibility pilot in a busy radiation oncology clinic is described. Results indicate that adding a distress assessment using the distress thermometer and problem checklist did not present substantial burden to nurses in the clinic or overwhelm the mental health, pastoral care, or oncology social work referral sources with more patients. Understanding distress scores and problems identified by patients helped the nurses direct education interventions and referrals appropriately; improved patient satisfaction scores reflected this.